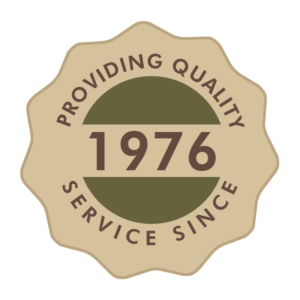 Brahler’s Cleaning & Restoration Inc. provides quality disaster cleaning and repair, including 24-hour emergency service. Call on us for fire, water, wind, vandalism and other damage repair services as well as providing commercial and residential carpet, furniture, and air duct cleaning service by appointment. Graduated from Canton McKinley High School 2005 and Hiram College in 2009 with a major in Communication and minor in Exercise Sport Science. Jennifer has been with Brahler’s since 2014 as Office & Accounting Manager.Jennifer enjoys her role assisting the team with daily challenges and problem solving. Jennifer also heads training our new employees as our Mentor Coordinator. But truly enjoys building relationships with customers. She also takes a lead role in Brahler’s advertising and digital marketing. Jennifer is an active participant in company certifications and organizations such as: IICRC, SCRT, Xactimate, Massillon Chamber and Stark County Safety Council. Jennifer enjoys spending time with her husband, their two children and their family. In her spare time, Jennifer enjoys running, watching movies, teaching swim lessons, and being outdoors. Earned her Associates Degrees in Medical Science from Stark State College and holds her certification with the IICRC for Carpet Cleaning. Tiffany began working as an assistant technician for our cleaning division. She ability and aptitude for delivering stellar services quickly lead to managing the Cleaning Division within a year of working for BCRR. Tiffany loves the fast-paced environment and the ever-changing experiences she has with her customers. When at home, Tiffany enjoys reading and being outdoors with her two children. With an extensive background in new construction and business management, Joy joined the BCRR Team in July of 2016. Joy earned her Bachelor’s Degree and MBA from Malone College. She also holds several other certifications including Situational Leadership and Project Management. Hired for Business Development and Marketing, Joy quickly showed her ability stretched further than her position. Joy is now responsible for overlooking the production divisions of the company for Cleaning, Restoration, Remodeling, & Sales. She enjoys the daily challenges of managing the Team and assisting our customers. She takes her passion for building to a new level with building relationships with everyone she meets. Joy is an active member with HOP (Hour of Power Networking), Orrville Chamber, and Women’s Impact. When Joy finds time for herself, she enjoys water sports, gardening, and spending time with her immediate friends and family. Todd received some of his experience maintaining the & K Hotel and being self-employed while earning his degree in business management. Todd was responsible for cleaning and maintenance of the hotel rooms. At times, it was necessary for Todd to have the rooms refurbished which entailed painting, new drywall, electrical work, cleaning of carpets and furniture, keeping the A/C and Heating functioning along with everything else that comes with maintaining a small hotel especially cleaning. As Todd was doing his part, Marie was working in the banking and title insurance industry closing real estate loans for Statewide Insured Title while raising their children, Michael & Meredith. Upon graduating from the University of Akron, Todd decided to take the experience he learned from L & K Hotel along with the experience of moping decks on an aircraft carrier and his newly acquired business knowledge and start “All Pro Cleaning”, now known as Brahler’s Cleaning & Restoration, Inc.
Enjoys working for a company that puts people first. With 25+ years of customer service experience working in the banking industry, Nancy is always focused on delivering the best service to her customers. Nancy earned an Associate of Applied Science in Civil Engineering Technology degree from Stark State College. Her organizational skills and willingness to help anyone in need is a key benefit to the success of BCRR and the Team. Nancy loves Reese’s Peanut Butter cups and her daily Coca-Cola! Beginning his career path at Coshocton Career Center learning the building trade, Kevin immediately put his skills to use working on mobile homes and residential houses. He enjoys the feeling of being part of a family when he comes to work. His ability to deliver quality in his workmanship with efficiency makes Kevin an asset to our team and his customers. Kevin has a deep respect for his religion and lives daily by his beliefs. He enjoys spending time outdoors with his loving family. Kelly joins our Cleaning Division with several years of cleaning experience under her. As the newest member of our team, Kelly enjoys the fast-paced atmosphere and interacting with the customers. Her positive, upbeat attitude and willingness to do whatever it takes, makes Kelly a pleasure to have on our team. Kelly enjoys spending time with her son doing outdoor activities such as hiking, swimming, and gardening. Remaining current on his OSHA 10 certification, Darrin has 30+ years working as a Carpenter in the industry. He loves working with customers and enjoys seeing the structures he has built still standing over the years. Darrin joined our team in 2017 and appreciates the challenge behind his responsibilities. As Lead Carpenter, Darrin assists in mentoring and guiding new employees in their professional growth. His down time is spent golfing, hunting, playing guitar, and generally, enjoying life. Holds several certifications with Brahler’s such as: IICRC Certified in Upholstery & Fabric Cleaning and Carpet Cleaning, Management Development certified, Fire & Smoke Restoration, Water Damage Restoration, Mold Remediation and Project Management Leadership certification. Cody has been working with Brahler’s since 2008 starting as a cleaning technician, transitioned to the Restoration Division as Project Manager, and now leads the Sales & Estimating Division. Cody’s background includes experience in construction, carpentry, management, cleaning, emergency restoration and sales. Cody enjoys spending time with his daughter, wife, family and friends. He is an avid hunter, fisherman, and being active outside. Graduating from Northwest High, Chris joined the team in early 2018. His positive attitude and dedication to his role and his customers has Chris on the fast track to success. His friendly face is a welcome sight to both team members and customers. Chris appreciates his free time and watches history documentaries with his rescue pets. The adaptability and eagerness to help those in need is one of Adam’s top qualities. Adam enjoys working in the close family like atmosphere at BCRR. Starting out as an EMS On-Call technician, Adam was exposed to the ever-changing tasks of the Restoration industry. Adam found himself a home here with Brahler’s as he adapted to the company’s and customer’s needs. His experience in carpet cleaning to emergency restoration services, makes Adam a key performer on the team.